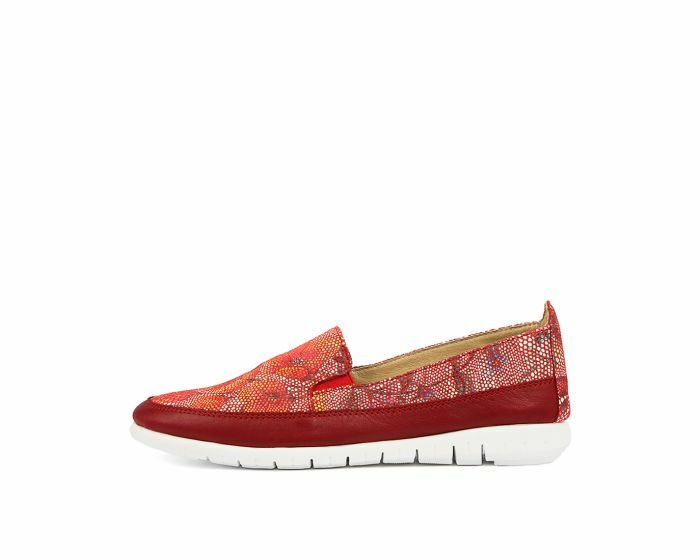 Add a pop of colour to every outfit with this statement slip-on! Composed of patterned crackled leather, this design comes with a smooth trim and a super flexible ribbed sole. Ideal for busy weekends running errands or those long strolls in the sun, you'll love this shoe paired with casual staples like jeans and a tee.